Feel your core like you never have before. Experience the ultimate all-round workout: improve your strength, movement, and flexibility using nothing more than a pair of TRX straps, your body weight, and gravity. You’ll be working out in the first authentic licenced TRX Training Facility in Europe and the second one in the world, in a TRX-dedicated space under the guidance of expert instructors that are trained following the official TRX education programme. TRX CLASSES STARTING AT £24 - FOR A LIMITED TIME ONLY! New to TRX? This is an introductory class teaching the basics of using the suspension trainer including setting up. 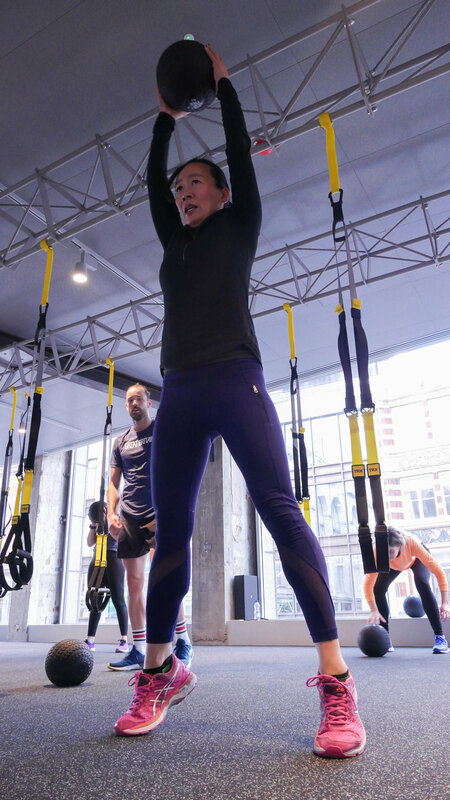 This class will also give you a taster of a TRX workout with exercises incorporating the key foundational movements - push, pull, rotate, lunge, squat and plank. This class will challenge you through a variety of exercises using your own body weight. This class is intense - even if you do it regularly you will constantly be challenged due to the versatility of using the suspension straps. You will feel all your muscles being activated as we go through all planes of movements. This class is perfect for building muscular endurance and strength! This class is structured around our post indoor cycling training. It is also ideal for anyone who wants to work on improving mobility, flexibility, and core strength. The class has proven to help our clients recover faster after an intense cycling session as we focus on a variety of post cycling stretches. Strength and mobility exercises are incorporated to reverse the hunched posture caused by cycling, office and computer work. Core exercises are also the key components in this session. This is a high energy and fun class incorporating different modalities in addition to the TRX suspension trainer such as slam balls, kettle bells, battle ropes and the Rip Trainer. You will be challenged by the high intensity and high calorie burning cardio workout structured around repeated sets of the various modalities.